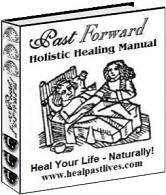 For me, Heal Past Lives and Ellen have revealed so many of the universe's and life's valuable lessons and how to view and resolve with love and optimism the challenges we've accrued from "past" lives. It makes life so much more exciting and challenging, especially when problems seem insurmountable. Hi Ellen, I wanted to give you some feedback on the Past Life Profile report you sent me. It did bring me some eye openers. I never realized that [private details omitted]. It is truly been a revelation. I see I had past lives that gave me quite a bit of opportunity to shape my beliefs. As I was reading about certain lives and their impact, I felt my lower chakras start to vibrate. I take this as a sign they are the areas affected and that this was important information regarding these chakra issues. This report has truly made an impact on me and my perspectives: it was well worth the money. Thanks for everything (I've really appreciated the email replies you've sent as well as your ezines). Ellen, I have had several readings done by you and have been able to work on some of the past life issues I have... Still no more TMJ :)... amazing. Thanks for all your help! My life has truly changed for the better since I have discovered this website... I really thank you for changing my life and helping me to resolve issues that were hidden. The Holosync Meditation advice was huge. I am so much better emotionally for it. Thank you and keep up the great work. I have forwarded you ezine, regarding "Power of Hugs" to others. It is so well explained and anyone, not just those observing spiritual lives, can get a good idea of this therapy. I hug people normally, but I can see how reticent and reluctant those not connected spiritually can be. So thank you for this, and I hope people will hug naturally and get the benefits, in this powerful of exchange of energies... divine energies. Thank you for all your help. I so enjoy reading your "Daily Karmic Insights" ezines. So many questions answered. Wonderful insight into the various forms of karma we create for ourselves. Your topics cause me to meditate on my short-comings as well as how to address them and how to handle those afflicted or challenged. Thank you for your cool website! Dear Ellen, Thank you, thank you, thank you for the Karmic Insight on "Soulmates-Crossing"!! I have been on an amazing, life-transforming soul journey all triggered by crossing paths with a beloved soulmate. The few moments we spent together literally "shook up" my life and as a result I am changing for the better. Our brief meeting triggered amazing, spiritual dreams, synchronistic messages and, ultimately, past life memories. I am learning to love and respect myself and to find that divine Love within me (rather than outside of myself) as the perfect, whole expression of God/ Goddess/All That Is, which truly I AM. What better purpose is there for a soulmate than this? I have no doubt our brief meeting was Divinely Planned, a gift - the key to unlocking true Self-realization - for my spiritual unfoldment and growth on my path to becoming a fully integrated, whole and healthy human being in this lifetime and as a continually evolving, eternal soul. You answered the very question which I often found myself asking - "Why can't we be together?" Now I realize the time he did spend with me was the best gift he could have given me in this lifetime - the gift of re-finding, loving, and respecting my Higher Self, and propelling me on a journey of spiritual growth. Ironically, your newsletters always wind up in my inbox at a time when your topic perfectly coincides with what is going on in my life. Like this one on "Soulmates-Crossing" with perfect timing, with special meaning - a synchronicity which only the God/Goddess/Universe and His/Her agents could orchestrate. Thanks again, Ellen! Ellen, thank you very much for sharing your insight. Your site sheds light allowing for so many people to understand and contemplate truths and precious knowledge. Your site has very positive energy, please continue doing what you are doing! I have been enjoying the healpastlives ezines for awhile now. I know they are insightful. If you are lost, tired, fed up, or have any other negative emotions... just hop on board, you'll enjoy it! Dear Ellen, I really love getting your ezines. They are always inspiring and really do make such a difference especially now that I am in a transition time in my life. Your ezines help me through it. I enjoy your emails and appreciate all the work you have put into providing interesting subjects for your readers. You have certainly given us food for thought. Now to apply it all! Dear Ellen, Many many thanks for your service, it is truly wonderful, and has helped me to be of more help to my clients. Thanking you, in love and light. I look forward to your ezine. They are so interesting and meaningful. Keep up the good work. Namaste! Thanks for your e-zine! I love it and look forward to every issue, again thanks. The metaphysical causes for excess weight mentioned by you is excellent. I did the exercise. Thanks for great coverage. Your efforts are much appreciated and the effects are indeed far-reaching. Thank you for your wonderful site. Every time I visit, I view new information. Dear Madam ~ I read all the fascinating quotes about reincarnation attributed to various notables down through history. Your final quote is from a favourite brief prayer of mine and it should read thusly:	"Life is Eternal and Love is Immortal and Death is only a Horizon limited by our sight." The author of this exquisitely poetic, simple prayer is Bede Jarrett and the quote can be found in "The Catholic Prayer Book" taken from the prayer for "For loved ones and all those who have died".